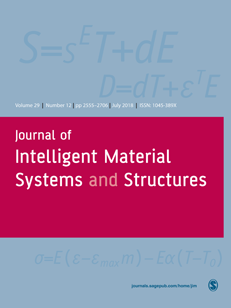 Thomas Behrmann, Christoph Budelmann, Stefan Bosse, Dirk Lehmhus, Marc C Lemmel, Tool chain for harvesting, simulation and management of energy in Sensorial Materials, Journal of Intelligent Material Systems and Structures, 2013, DOI:10.1177/1045389X13488248. The continuing decrease in size and energy demand of electronic sensor circuits allows endowing engineering structures and, to an increasing degree, materials with integrated sensing and data processing capabilities. Materials that adhere to this description are designated as Sensorial Materials. Their development is multidisciplinary and requires knowledge beyond materials science in fields like sensor science, computer science, energy harvesting, microsystems technology, low-power electronics, energy management, and communication. Development of such materials will benefit from systematic support for bridging research area boundaries. The present article introduces the backbone of an easy-to-use toolbox for layout of the energy supply of smart sensor nodes within a sensorial material. The fundamental approach is transferred from rapid control development, where a comparable MATLAB/Simulink tool chain is already in use. The main goal is to manage limited power resources without unacceptably compromising functionality in a given application scenario. The toolbox allows analysis of the modeled system in terms of energy and power and allows analyzing factors such as energy harvesting, use of predictive power estimation, power saving (e.g. sleep modes), model-based cognitive data reduction methods, and energy aware algorithm switching. It is linked to a simulation environment allowing analysis of energy demand and production in a specific application scenario. Its initial version presented here supports single self-powered sensor nodes. A broad set of application cases is used to develop scenario-dependent solutions with minimum energy needs and thus demonstrate the use of the toolbox and the associated development process. The initial test case is a large-scale sensor network with optical fiber–based data and energy transmission, for which optimization of energy consumption is attempted. The toolbox can be used to improve the power-aware design of sensor nodes on digital hardware level using advanced high-level synthesis approaches and provides input for sensor node and sensor network level. 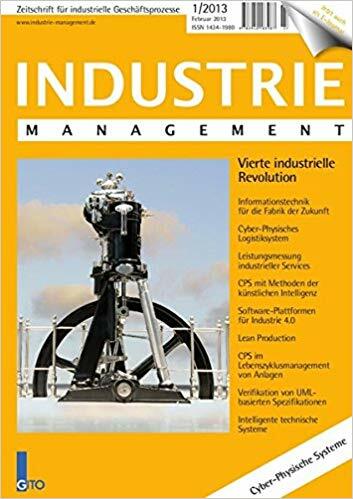 Stefan Bosse, Frank Kirchner, Autonomie und Robustheit in Verteilten Cyber-Physical Systems und Sensorischen Materialien mit Methoden der Künstlichen Intelligenz, Industrie Management, 1, 2013, ISSN: 1434-1980. Sensoren und Aktoren finden immer häufiger Anwendung in der industriellen Produktion. Traditionell werden zentralistische Ansätze für die Verarbeitung der Sensordaten und Ansteuerung der Aktoren verwendet. Zunehmende Dichte von Sensoren und Aktoren, mit gleichzeitig fortschreitender Miniaturisierung, erfordern dezentrale Datenverarbeitung in verteilten Netzwerken aus Sensoren und Aktoren. Die Künstliche Intelligenz, ein Teilgebiet der Informatik, kann wichtige Beiträge für Robustheit und Autonomie bei der Verarbeitung und Verteilung von Daten in solchen Netzwerken liefern. Dirk Lehmhus, Stefan Bosse, Matthias Busse, Sensorial Materials, Chapter 17, Dirk Lehmhus, Matthias Busse, Axel S. Herrmann, Kambiz Kayvantash (Ed. ): Structural Materials and Processes in Transportation, pp. 517-548, Wiley-VCH, 2013, ISBN: 9783527327874, DOI:10.1002/9783527649846. By our definition, sensorial materials are materials that are able to feel, that is, materials that can gather and evaluate sensorial information. The definition is wide enough to accommodate different kinds of physical or chemical signals, but it does call for integration of the associated sensor nodes or networks in the material, and for additional data-processing capabilities. Naturally, aspects such as provision for (internal and external) communication as well as a reliable energy supply need to be added. The natural equivalent of such a technical system is the nervous system of the various animal genera. For them, it is the basis of one of the defining characteristics of life itself, irritability or the response to stimuli. The technical motivation to reproduce nature’s invention ismanifold, as are the envisaged applications.Within the context of this book, we will confine ourselves to advantages foreseen in the field of load-bearing structures, and thus naturally to usage in structural health monitoring (SHM). SHM is well established in civil engineering and currently being discussed for aerospace applications. 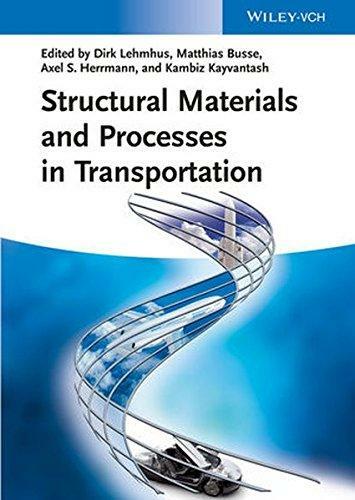 In the latter field, the transition from metal to composite aircraft structures reflected in several chapters of this work has raised concerns with respect to these materials’ typical response to impact loading. Optically, non-detectable failure may occur, calling for a constant monitoring of the state of the material. The transition from the metaldominated ‘‘silver eagle’’ to the composite-based ‘‘blackbird’’ is therefore expected to provide a major boost for SHM not only in terms of market penetration, but also technologically, as it is likely to fuel developments toward sensor-integrated and sensorial materials. Aerospace structures call for component sizes orders of magnitude smaller than what is acceptable for bridges, the present mainstay of SHM applications. Safety of potentially impact-loaded composite structures is one motivation for implementing SHM or, to begin with, load-monitoring systems. There are others, too. Knowing the exact state of a structure at any moment in time allows timing of maintenance work according to actual needs. Need-based, as opposed to regular, maintenance can reduce operating costs specifically in industries where high costs are incurred either by the maintenance work itself or by taking the object of maintenance out of service. Offshore wind energy plants and commercial aircraft are examples in this respect. Further advantages may be realized wherever damagetolerant as opposed to fail-safe or safe-life dimensioning is applied as design philosophy. Here, constant monitoring in conjunction with an understanding of the development of damage over time will enable predictive maintenance strategies as well as weight savings based on an adaptation of safety factors. The latter would be justified by the greater proximity to damage development achieved by means of an integrated system. Stefan Bosse, Intelligent Microchip Networks: An Agent-on-Chip Synthesis Framework for the Design of Smart and Robust Sensor Networks, Proceedings of the SPIE 2013, Microtechnologie Conference, Session EMT 102 VLSI Circuits and Systems, 24-26 April 2013, Alpexpo/Grenoble, France, SPIE, 2013, DOI:10.1117/12.2017224. Sensorial materials consisting of high-density, miniaturized, and embedded sensor networks require new robust and reliable data processing and communication approaches. Structural health monitoring is one major field of application for sensorial materials. Each sensor node provides some kind of sensor, electronics, data processing, and communication with a strong focus on microchip-level implementation to meet the goals of miniaturization and low-power energy environments, a prerequisite for autonomous behaviour and operation. Reliability requires robustness of the entire system in the presence of node, link, data processing, and communication failures. Interaction between nodes is required to manage and distribute information. One common interaction model is the mobile agent. An agent approach provides stronger autonomy than a traditional object or remote-procedure-call based approach. Agents can decide for themselves, which actions are performed, and they are capable of flexible behaviour, reacting on the environment and other agents, providing some degree of robustness. Traditionally multi-agent systems are abstract programming models which are implemented in software and executed on program controlled computer architectures. This approach does not well scale to micro-chip level and requires full equipped computers and communication structures, and the hardware architecture does not consider and reflect the requirements for agent processing and interaction. We propose and demonstrate a novel design paradigm for reliable distributed data processing systems and a synthesis methodology and framework for multi-agent systems implementable entirely on microchip-level with resource and power constrained digital logic supporting Agent-On-Chip architectures (AoC). The agent behaviour and mobility is fully integrated on the micro-chip using pipelined communicating processes implemented with finite-state machines and register-transfer logic. The agent behaviour, interaction (communication), and mobility features are modelled and specified on a machine-independent abstract programming level using a state-based agent behaviour language (APL). With this APL a high-level agent compiler is able to synthesize a hardware model (RTL, VHDL), a software model (C, ML), or a simulation model (XML) suitable to simulate a multi-agent system using the SeSAm simulator framework. Agent communication is provided by a simple tuple-space database implemented on node level providing fault tolerant access of global data. A novel synthesis development kit (SynDK) based on a graph-structured database approach is introduced to support the rapid development of compilers and synthesis tools, used for example for the design and implementation of the APL compiler. Stefan Bosse, Florian Pantke, Stefan Edelkamp, Robot Manipulator with emergent Behaviour supported by a Smart Sensorial Material and Agent Systems, Proceedings of the Smart Systems Integration Conference SSI 2013, Topic 5, Amsterdam NL, 13-14.3.2013, 2013, ISBN: 978-3-8007-3490-0. Intelligent behaviour of robot manipulators become important in unknown and changing environments. Emergent behaviour of a machine arises intelligence from the interactions of robots with its environment. Sensorial materials equipped with networks of embedded miniaturized smart sensors can support this behaviour. In this work an integrated autonomous decentralized sensor networks is shown providing perception in a robot arm manipulator. Each sensor network is connected to strain gauge sensors mounted on a flexible polymer surface, delivering spatial resolved information of external forces applied to the robot arm, required for example for obstacle avoidance or for manipulation of objects. Each autonomous sensor node provides communication, data processing, and energy management implemented on microchip level. Commonly a high number of strain gauge sensors are used to satisfy a high spatial resolution. Our approach uses advanced Artificial Intelligence and Machine Learning methods for the mapping of only a few non-calibrated and non-long-term stable noisy strain sensor signals to spatially resolved load information and a decentralized data processing approach to improve robustness. Robustness in the sensor network is provided by 1. autonomy of sensor nodes, 2. by smart adaptive communication to overcome link failures and to reflect changes in network topology, and 3. by using intelligent adaptive algorithms. Robust cooperation and distributed data processing is achieved by using Mobile Agent systems. Agent behaviour and cooperation is implemented on microchip level.